Flipping through an old copy of Bon Appétit I came across an intriguing recipe for salmon burgers. 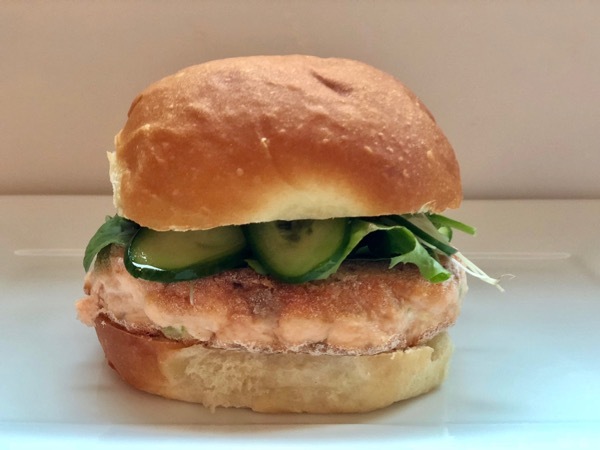 You are going to want to try this fresh take on a classic fishcake. The key to this burger’s success is a food processor. 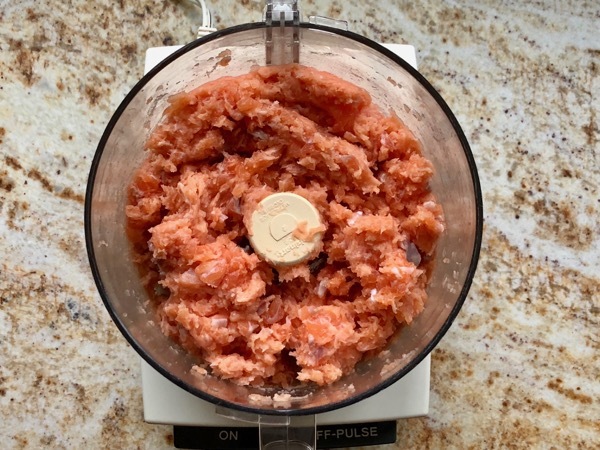 Pulse one third of the salmon into a smooth paste, then add the other two thirds and pulse until coarsely chopped. The smooth salmon, along with a little mayonnaise, is what holds it all together. 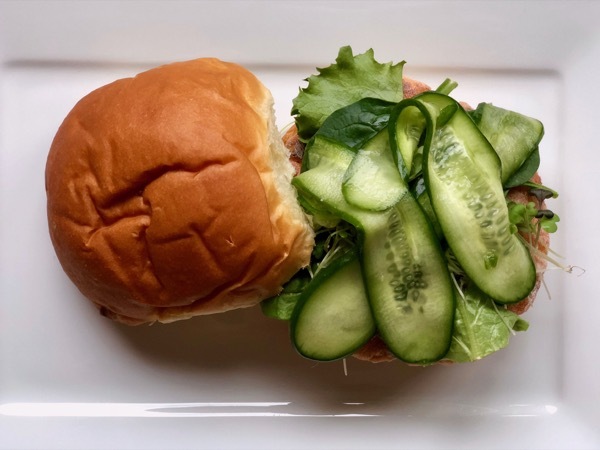 Not using the typical breadcrumb binder results in an incredibly light burger that is crisp on the outside and airy as a dream on the inside. 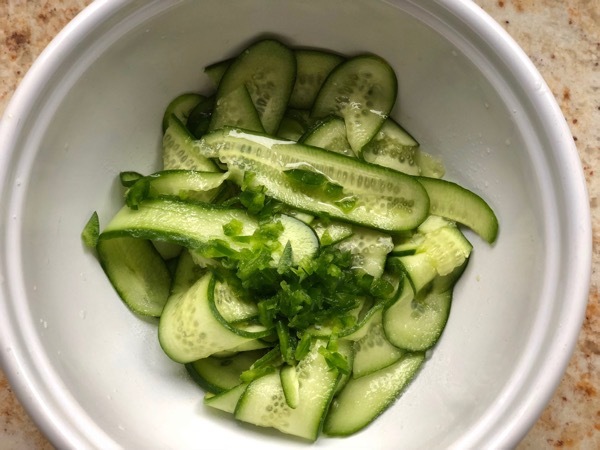 Top with some homemade quick pickles (you won’t believe how easy they are to make), spicy greens, and a little secret sauce. 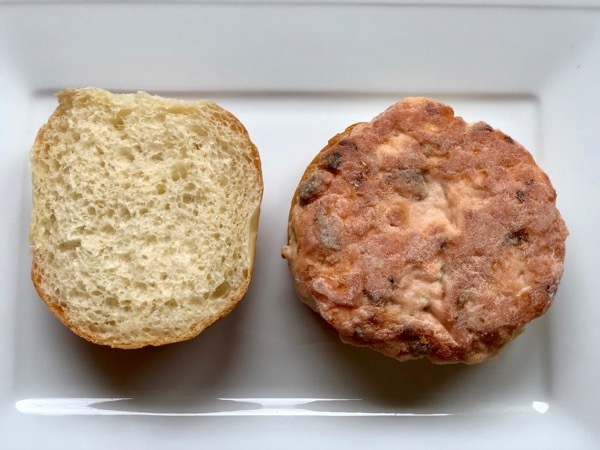 For the salmon burgers start with 1½ pounds boneless, skinless center-cut salmon, patted dry. 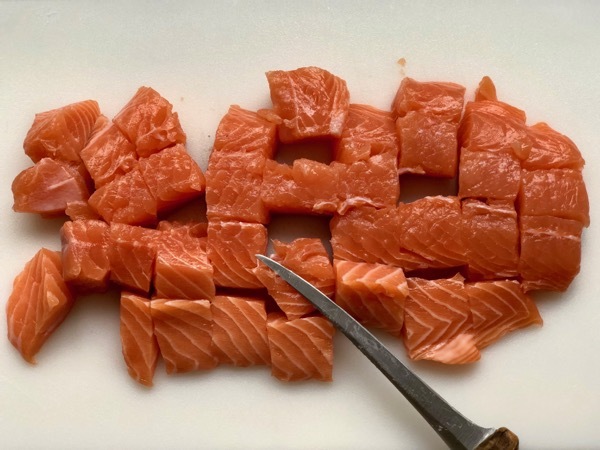 Cut the salmon into 2” pieces. 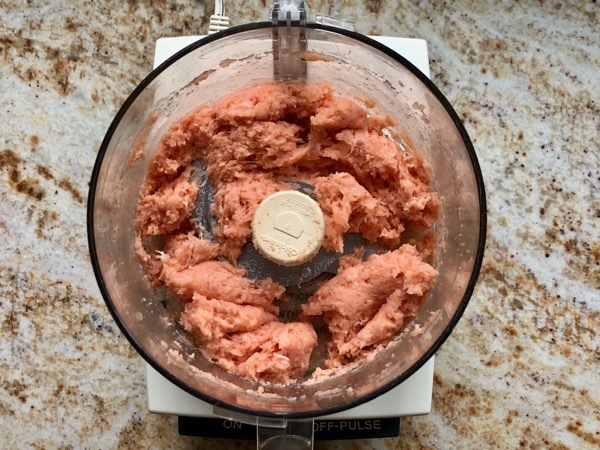 Transfer one-third of salmon to a food processor and process, scraping down sides, until mixture is very smooth and paste-like. 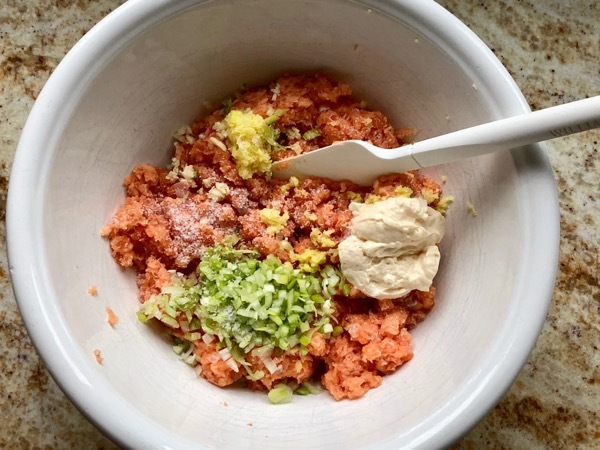 Add remaining salmon and pulse 4–5 times until pieces are no bigger than ¼” (be careful not to make it too smooth). Transfer to a large bowl. Mix in scallion greens, grated ginger, garlic, 2 Tbsp. 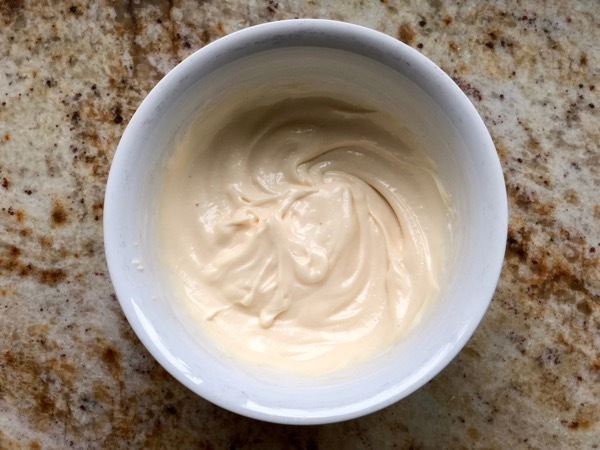 mayonnaise, and 1 tsp. salt; toss to combine. 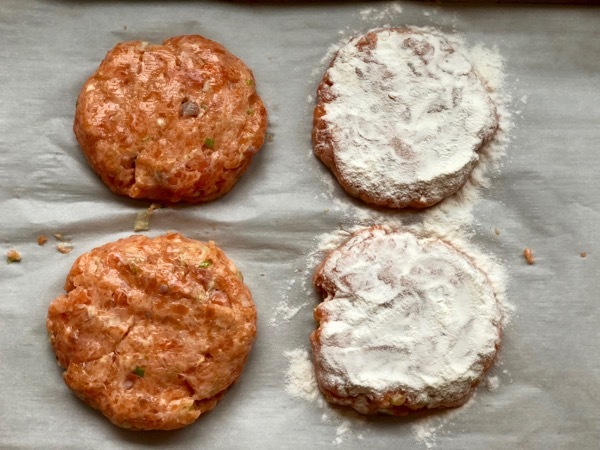 Form mixture into 4 patties about ¾” thick. Transfer to a parchment-lined rimmed baking sheet and cover with plastic wrap. Chill at least 1 hour or up to 3 (you’ll want to chill the patties so that they hold their shape before getting cooked). Meanwhile, combine the sesame oil, 1 tsp. 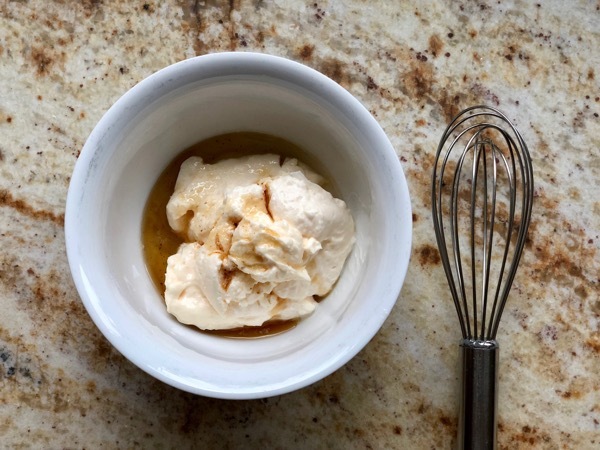 vinegar, remaining ⅔ cup mayonnaise, and a pinch of salt in a small bowl. Mix well, then cover and refrigerate. 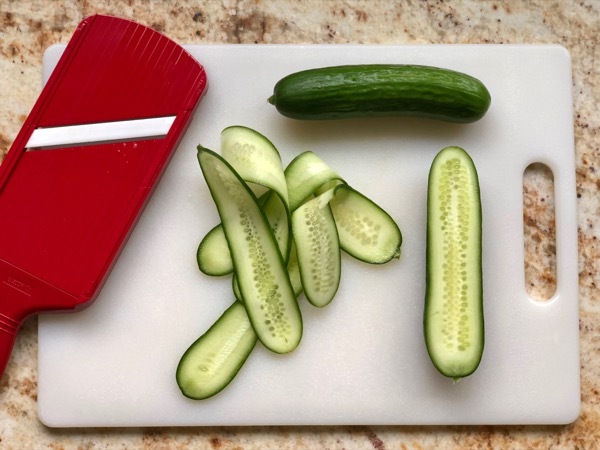 Shave three medium Persian cucumbers lengthwise. 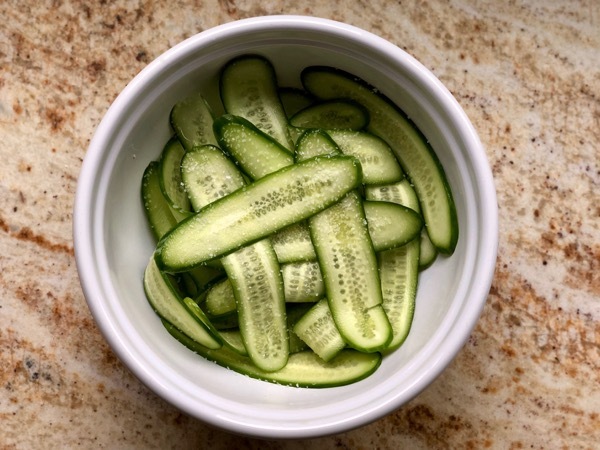 Toss the cucumbers with a pinch of salt in another small bowl. 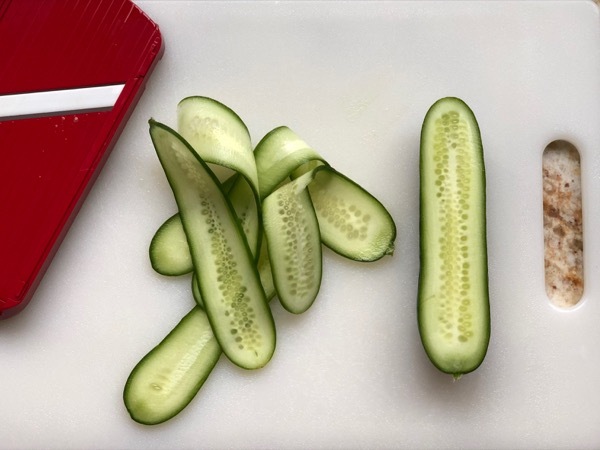 Massage with your hands for a few minutes, squeezing lightly to expel water; discard the cucumber liquid. Add the chopped chili, 1 teaspoon sugar, and 2 teaspoons vinegar to the bowl; toss to coat. Chill until ready to assemble burgers. Heat the oil in a large nonstick skillet over medium-high until the oil begins to shimmer. 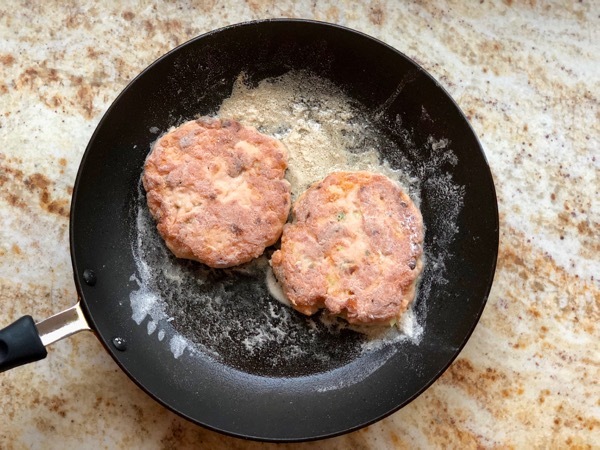 Remove salmon patties from fridge right before cooking and sprinkle with the rice flour just to coat the outside (you won’t need all of it). 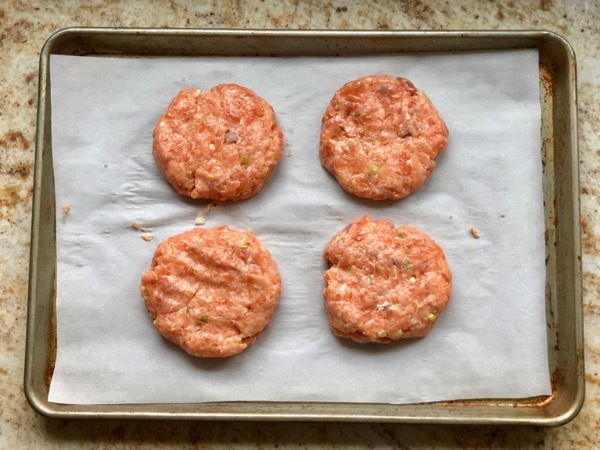 The patties will be a little loose, but you can always pat them back together with your hands before they hit the pan. Working in batches and adding more oil in between batches if needed, cook the patties until golden brown, about 3–4 minutes on each side (take care not to overcook). 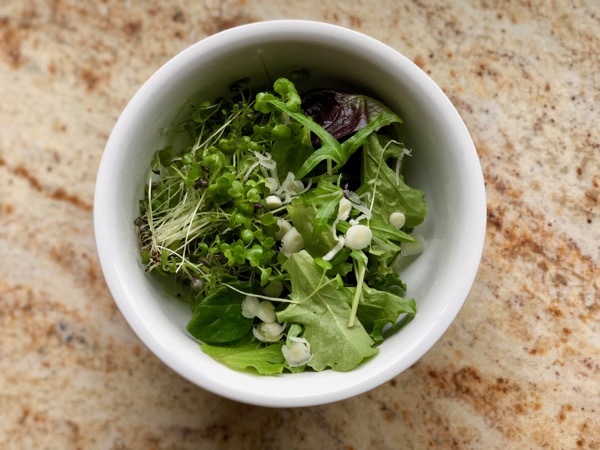 Toss the baby greens, scallion whites, remaining 1 teaspoon vinegar, and a pinch of salt in a medium bowl. Build the srtarting with the burgers with buns and patties. Top with the reserved special sauce, herb mixture, and pickles.